YFL Kelvin recently sat down with 247HH for an interview that you can check out below. During their conversation, Kelvin revealed that the rappers who inspired him the most are Lil Wayne, Meek Mill, 50 Cent and Dipset. 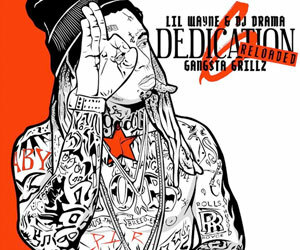 The Cleveland rapper then went into more detail about why Weezy is one of his biggest inspirations and that is because he came into the music industry hungry at a very young age. Kelvin also recalled when Tunechi dropped his Da Drought mixtape around the same time that PSP (PlayStation Portable) came out and he used to play NBA 2K while listening to every Tune song. 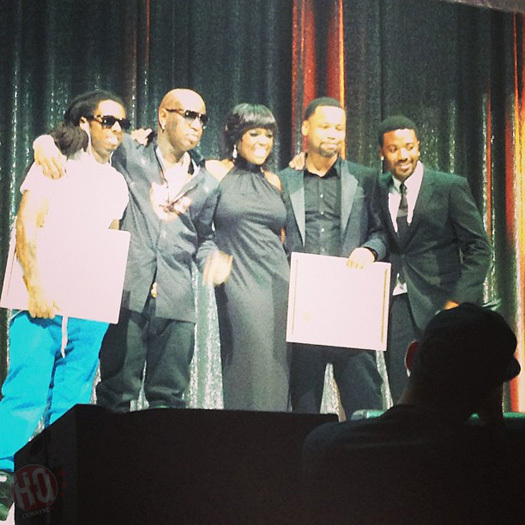 He even mentioned that watching Wayne‘s VH1 documentary about his life made him want to become a rapper! 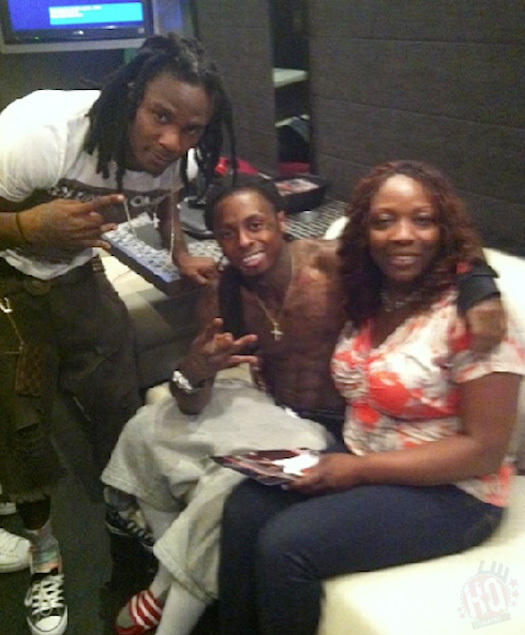 In an interview with The Players’ Tribune, former American football running back Chris Johnson revealed how he “became real good friends” with Lil Wayne. 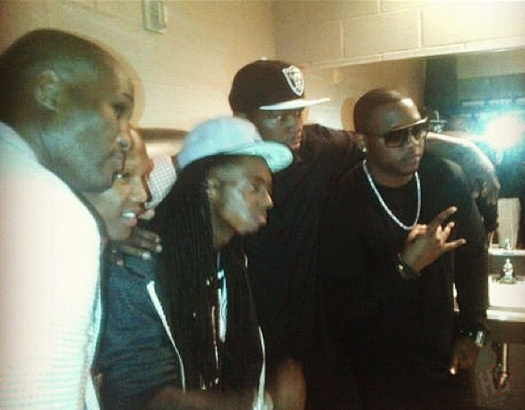 Johnson told the story (watch below) of how he was at a Wayne concert with his team mates when he asked a security guard if he could meet Tunechi and to his surprise, he was invited onto Tune‘s tour bus. As soon as they saw each other, Weezy mentioned to Chris Johnson that he was on his fantasy team before they then exchanged phone numbers. He even referenced Chris on his “Popular” song: “She run through my head; Chris Johnson, I’mma tackle her”. 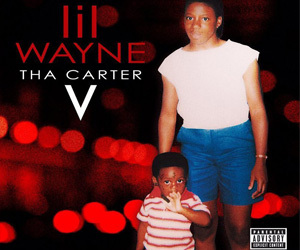 The former NFL player also added that Mr. Carter has always been his favorite rapper since high school, recalled having arguments in school about who was better out of Lil Wayne and 50 Cent, and recollected the first time he heard Wayne was on Juvenile‘s 400 Degreez album! Remember back in 2013 when Lil Wayne appeared on a “Mean Tweets” segment during Jimmy Kimmel Live and was called a crabapple? 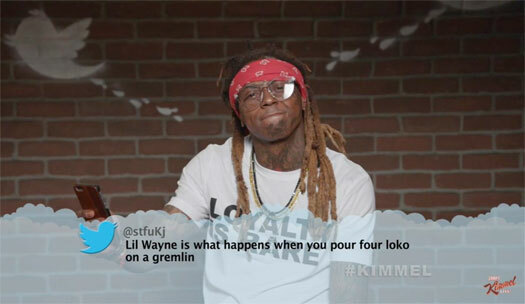 Well, Wayne has now appeared on a new hip-hop edition of “Mean Tweets”. As well as Weezy, this new “Mean Tweets” skit also included 50 Cent, A$AP Rocky, Eve, Pusha T, Big Sean, Remy Ma, Rae Sremmurd, Anderson .Paak, DJ Khaled, Trippie Redd, Tyler The Creator, Logic, Awkwafina, Lil Yachty, Wale, Ty Dolla $ign, Yo Gotti, and T-Pain reading out hate tweets about themselves. You can check out the full video after the jump below to see Tunechi‘s reaction. Tune filmed his part back in June of 2017 when he performed “The Way I Are (Dance With Somebody)” live with Bebe Rexha on Jimmy Kimmel Live! 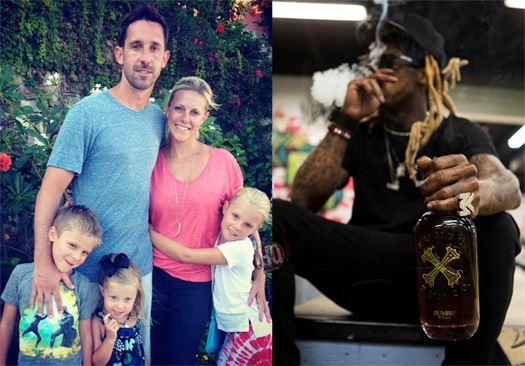 During this week’s episode of Simms & Lefkoe, which is a podcast by Bleacher Report, it was revealed that Kyle Shanahan named his boy Carter after Lil Wayne. The host Chris Simms, who is good friends with the San Francisco 49ers coach and also a former NFL player, revealed this information after a photo showed Kyle and his kid hanging around with 50 Cent. At the start of their conversation (1:50 mark), which you can watch below, Chris explained how Shanahan was always obsessed with Wayne during their NFL career and how he always played Weezy‘s music the most. Hit the jump to check it out! 50 Cent took to his Instagram page a couple of days after Lil Wayne and Birdman reunited to react and share what he thinks about the whole situation. 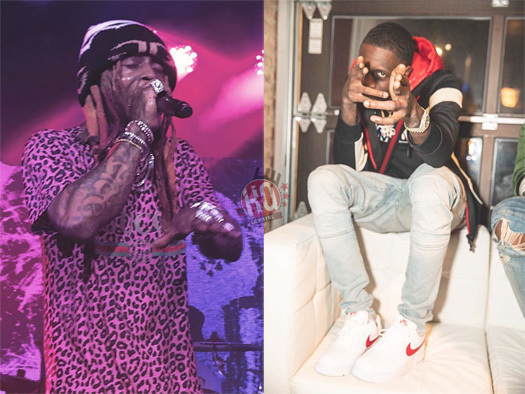 If you missed the news, Weezy and the #1 Stunna were spotted hugging, laughing and chopping it up at LIV in Miami, Florida this past Sunday (March 11th). Fiddy also made some really smart comments back in 2015 about this whole relationship between Wayne and Birdman including why you shouldn’t get involved in it, which you can read here!